You probably won’t buy one, because it would be silly unless you are stupidly rich and give no f*cks, but Hublot announced a Android Wear Wear OS watch today at Baselworld. It costs $5,200 and is a part of their Big Bang line. Its official name is Big Bang Referee 2018 FIFA World Cup Russia. This watch is worth noting to soccer fans because it’s the special edition FIFA 2018 World Cup Russia timepiece. That means it’s limited, y’all. 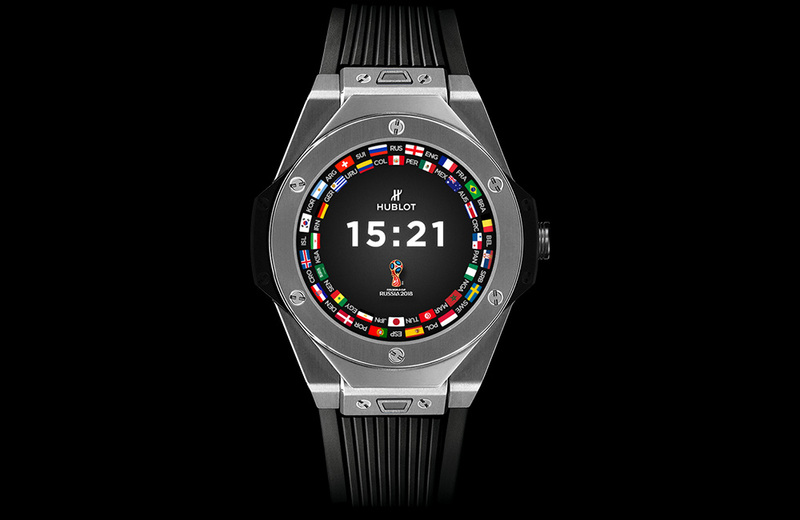 Not only that, but referees will apparently wear this watch during World Cup matches. For specs, it sports a 49mm case size (! ), polished and satin-finished titanium case and bezel, sapphire crystal face over a 1.39″ AMOLED display with a 400×400 resolution, black rubber strap, black composite deployant buckle clasp, 5ATM water resistance, 1.6GHz Intel Atom Z34XX dual-core chipset within, 512MB RAM, 410mAh battery, and NFC. You’ll be able to buy this little guy on May 1. Question of the Day: Worst Android Phone You Ever Bought?